Like all parents there are some things we're doing right, and some thing we're still figuring out. Of course there's also the fact that kids will often just do whatever they want, and that's fine. We are trying to raise our kids to understand and appreciate choice and diversity. 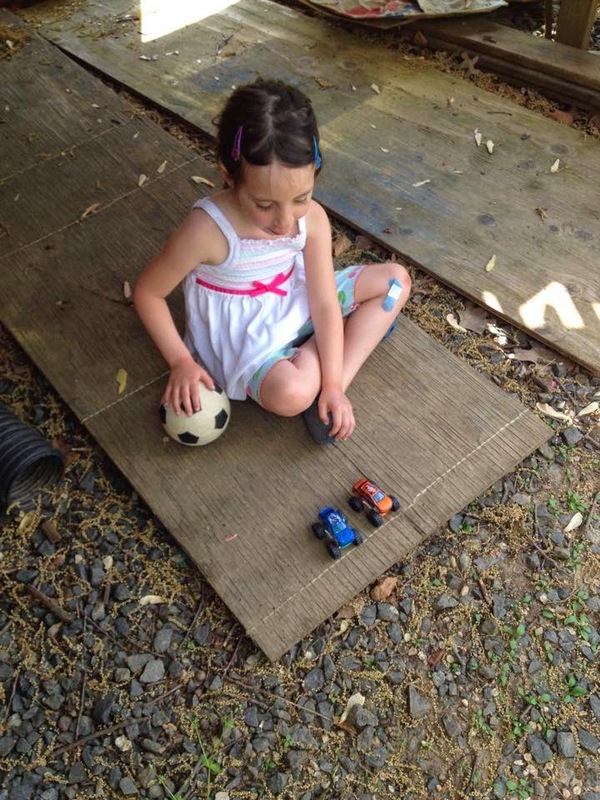 We want our daughters to know they can play with action figures and play sports if they want. 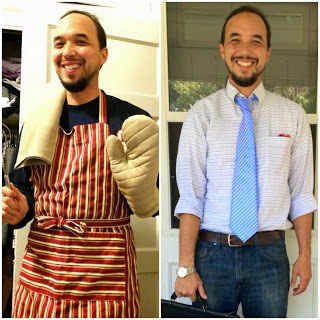 We encourage our son to play dress-up and wear whatever colors he decides he likes. It's been going pretty well. Even though they are still drifting towards traditional "boy/girl" activities more often than not they do play a lot of games together. Sometimes there are funny reminders that they are still figuring out both themselves and the world around them. There has been a lot of discussion in my corner of the internet about the lack of female action figures. It started with a father's quixotic search for a Gamora figure, and has moved along to a recent story of Marvel man-washing Black Widow out of a toy line based on her big cool scene in Age of Ultron. I fully support the idea that many boys would want a Black Widow figure. I am certain that many girls would want a Black Widow figure. My kids typically want their toys to be the same gender as themselves. The Boy does play with his Wonder Woman Lego figure, but he typically decides that his stuffed animals are boys, and insists that his version of El Toro Loco is driven by a man even though the driver was Becky McDonough when we went to the show. So sure, that makes me a little sad, but he's being himself. All I can do is provide opportunities and messaging, I can't make those decisions for them. On the other hand there are places where we are definitely succeeding. (Though maybe success/failure isn't the right way to frame the previous discussion.) My kids think it is perfectly normal for two people of the same gender to get married. Where it gets interesting for me is when these two areas intersect. 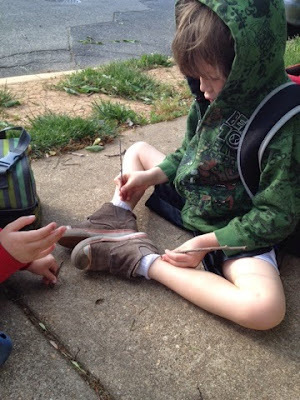 This morning as we were waiting for the bus the kids started playing house with some twigs. The Boy had the two larger twigs so he took the role of the parents. Lou had the smaller stick so she took the role of the child. The part that caught my attention is that The Boy's aversion to playing a female character led to him declaring that his sticks were "two men who got married." My internal reaction could be described as "YayD'oh" (TM pending). As with many things about parenting I don't see this as problem that needs fixing. The kids are going to pretend what they will. I do think it's an interesting window into their development as socially conscious people. I look forward to tomorrow's chuckle worthy gem from my little developing minds.